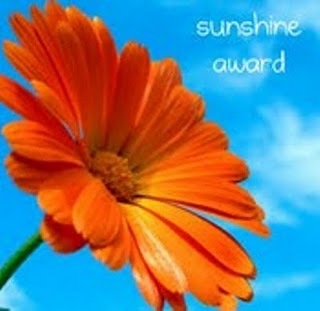 Why thank you, Annie...it is so nice to know I bring a little "sunshine" into your day! She has such a fun and colorful blog, speaking of sunshine, so pop over and pay her a visit! 1. I have been in business for 10 years - this month is actually my anniversary. Most of you seem interested in how I got started doing this, but that is a whole other post - long story. Lets just say it involved a car accident, a foot surgery that kept me from going to work and a girl that can never sit still. 2. Yes, I paint furniture as my full-time job. I give a makeover to around 60-70 pieces per month. 3. When I am not painting rest of my time is spent dumpster diving, cruising Craigslist, stalking the neighborhood on trash day, going to yard sales, auctions and flea markets, prepping, finishing and selling the pieces. I hope that helps explain why I hardly ever show photos of my work. It is out the door as soon as it is done...and quite frankly who has the time? I'm wiped out by the time it is ready for delivery or shipping! 4. The color of furniture the most popular with my clients is...white. A crisp, clean bright white. 5. No, I do not spray my furniture. I have tried it in the past, may try it again in the future, but my clients have come to expect a certain finish from me...and I am not one to disappoint! I find the extra time it takes to use a good quality primer, brush and paint is so worth it. But who knows, I would love to spray to save a little time...but we will see. 6. Yes, my husband helps me. And no, he never complains. He has his own busy career, but if I need a repair or a custom cabinet built, he is right there to help, no questions asked. I swear I could never do this business on the level that I do it without a helping hand now and then. But I will say, he refuses to paint. He is my handy-man and my delivery help. It ends there. 7. Yes, I do ship my furniture and it is much more reasonable than you would think! 8. The furthest I have ever shipped something is Asia...I have a store there that buys from me regularly. It is so weird to see my coffee table in an ad with Chinese lettering all around it! 9. No, I do not paint in my garage or my basement. Thank goodness! In the early days I did but I hated the mess and I never had enough room to work. I had to rent 3 storage units just to keep my stock in - crazy! So a few years ago I had to move the operation to a warehouse. Much better. 10. YES! All the furniture in my house is white. All but one gorgeous European pine sideboard from the early 1800s...I could never paint that! I think that should cover all the questions I received, if not...remind me and I will post the answer! I am off to bed. I have a list of estate sales to make the rounds to tomorrow and an afternoon date with an armoire! Sounds like a perfect spring day to me! Congratulations, Miss Mary! You definitely deserve it! You are a sunshine Mary!!!! I love your work and how wonderful, wonderful it is!!! Thank you for your sweet comment the other day...it's very much appreciated from a sweet girl like you! Wow! I am new to your blog and am just in awe of your business! It sounds like you have worked so hard! For some reason I feel so excited for you about your success, thanks for sharing! We ARE having wonderful weather here in Chicagoland, aren't we. Congratulations on your award! You're very deserving. Loved hearing all about your business. Fascinating! 60~70 pieces a month! Wow. I am so happy to hear about someone that enjoys their work. Very interesting post, well done on starting a whole furniture painting business. I have been lucky and have been able to paint outside during summer but am thinking about where to do it now the weather is cooling down again. good luck with your treasure hunting! That's so cool that your furniture is in a Chinese ad! I'm new to your blog and have quickly become addicted. Thats wonderful!! Congrats! Also I would love a post on how you got starting selling your pieces. I currently paint and sell furniture, but I just started, so I'm struggling trying to sell on-line...so I would LOVE tips and tricks on how you got started and remained so successful over 10 YEARS!! Congrats!! Congrats on 10 years woman! I'm praying that in a few years I can be doing what you are doing more than I am no :) Let's pray that land surveying is a hot commodity in central IL so Jade is busy & I can retire to something I love!